MACOMB, IL – Western Illinois University's Lincoln Academy of Illinois' Student Laureate has been accepted to all seven of the prestigious graduate programs where she applied to continue her education after graduation. Nicole Walker, a senior forensic chemistry and foreign languages and cultures double major, of Lake Zurich, IL, applied to seven prestigious doctoral chemistry programs and was accepted to each with both a living stipend and a full tuition waiver. Walker applied to Purdue; the University of North Carolina at Chapel Hill; the University of Illinois Urbana-Champaign; the University of Washington; Notre Dame; the University of Iowa and the University of Kansas. "The programs I applied to were some of the top analytical chemistry Ph.D. programs, including both the first and second ranked programs," said Walker. "I have not made a decision yet, as I still have to visit one of the schools." Walker is a student in WIU's Centennial Honors College. "Nicole is proof that attending Western provides access to the top rated graduate schools," said WIU Associate Professor of Chemistry Brian Bellott. "Nicole took full advantage of the resources here at WIU, including undergraduate research, presentations at conferences, numerous scholarships and summer internships." During her time at Western, Walker was named one of only 11 Illinois honorable mention award winners in the prestigious Barry Goldwater Scholarship and Excellence in Education Program. 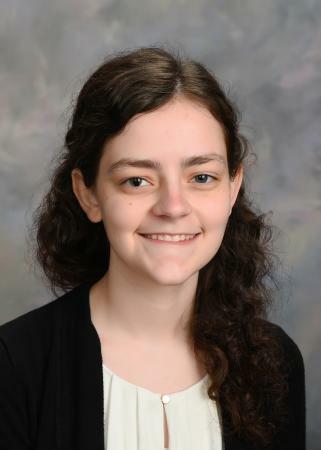 She was one of six WIU Department of Chemistry students to present their research at the national American Chemical Society (ACS) meeting in Louisiana last year. During her sophomore year, Walker was one of just a few college sophomores nationwide selected for the Summer 2017 Research Experience for Undergraduate Students (REU), where she conducted research in chemistry at the University of Kansas. She is president of the ACS Chemistry Club and the WIU Chapter of Golden Key International Honour Society. Walker is also involved in the Women in Science Club, Research Inspiring Student Excellence (RISE), the Blue Key National Honor Society, Phi Eta Sigma, is a chemistry ambassador for WIU and the recipient of a Centennial Honors Scholarship and works as a desk assistant in Thompson Hall. She was named the Organic Chemistry Student of the Year and won outstanding student awards during her freshman, sophomore and senior years. For more information on the WIU Department of Chemistry, visit wiu.edu/chemistry.